Diclofenac is one of the most prominent representatives of non-steroidal anti-inflammatory drugs (NSAIDs) used in the treatment of rheumatic disorders and other pain and inflammation-related conditions. NSAIDs exhibit antipyretic, analgesic, central antinociceptive effects and anti-inflammatory properties by efficiently inhibiting cyclooxygenase activity in a reversible manner and thus decreasing prostaglandin synthesis. Systemic therapy with non-steroidal anti-inflammatory drugs often causes gastrointestinal and other severe side effects. Therefore a local administration of NSAIDs is advantageous for the treatment of pain or inflammation processes since the actual local drug concentration may be higher, thereby increasing efficacy, whereas systemic, gastrointestinal side-effects are prevented. Again the main hurdle to be overcome with such a local administration is penetration by the drug of the skin barrier. 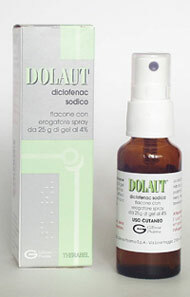 Meanwhile MIKA-diclofenac-spraygel has received approval for marketing authorization in more than 30 countries.